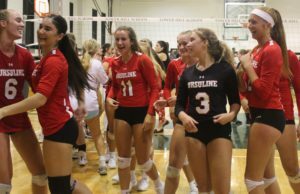 WILMINGTON – Ursuline and Tower Hill traded majestic kills and improbable defense when they met on the volleyball court on Sept. 21, and in the end, the Raiders had a bit too much firepower for the Hillers. 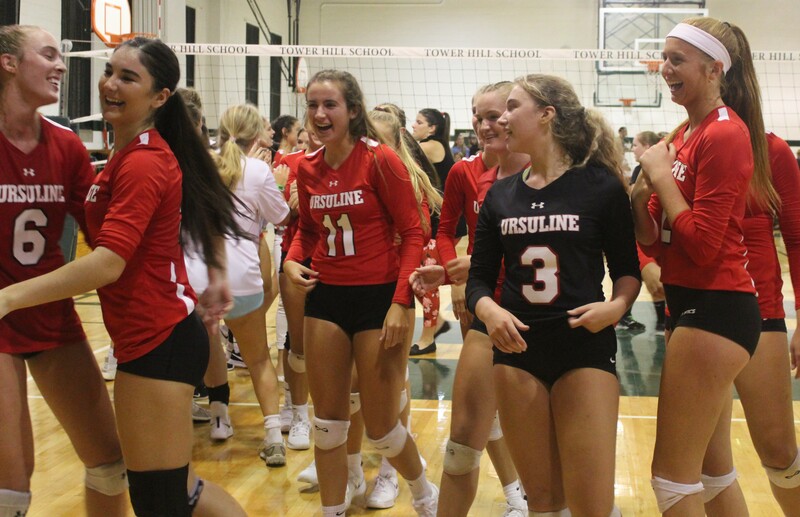 In a well-played match, defending champion Ursuline swept the Hillers by scores of 25-20, 25-22, and 25-20. The Raiders, currently 302Sports.com‘s top-ranked team, came out hot, taking a 6-1 lead that showcased all of the ways they would score during the match. Kylie Nocket and Corinne Furey picked up kills, Nocket and Lauren Boysen served up aces, and Emma Popham threw up a block of Kyra Caffrey. The lead briefly stayed in the four- to six-point range, but the Hillers answered, primarily with the right hand of their all-state hitter, Maddie Sachs. 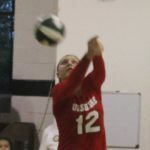 Her kill – off the assist from her younger sister, Chloe – made it 12-11 Raiders. It was 13-11 when Sachs rotated to the back line, and by the time she returned to the front, Ursuline’s lead had grown to 19-14. 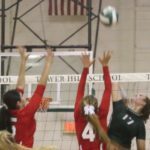 Sixth-ranked Tower Hill trailed late by six, but a run of three straight cut the deficit to 23-20, the last of that streak coming on a block of Corinne Furey by Anna Paisley Gray. The Raiders took a timeout and regrouped. 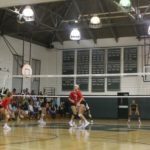 Furey scored on a tip over the Hillers’ wall, and the set ended when Tower was unable to get a Furey kill attempt back over the net. The Hillers put their visitors on notice in the second set, storming out to a 5-0 lead. The advantage was 11-7 thanks to a punishing kill by Sachs, but then the Raiders began the comeback. Avery Brown tied it up at 11 with one of her two kills, but Tower responded by scoring three of the next four. 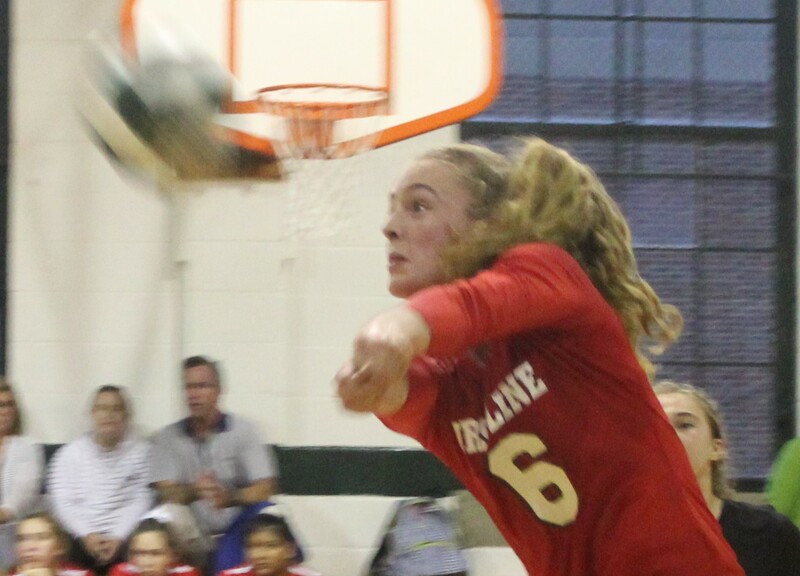 The next eight points, however, belonged to Ursuline, beginning with Nocket’s attack off the tape. Lauren Boysen served up an ace, and Popham smashed an overpass straight down to give the Raiders their first lead at 15-14. 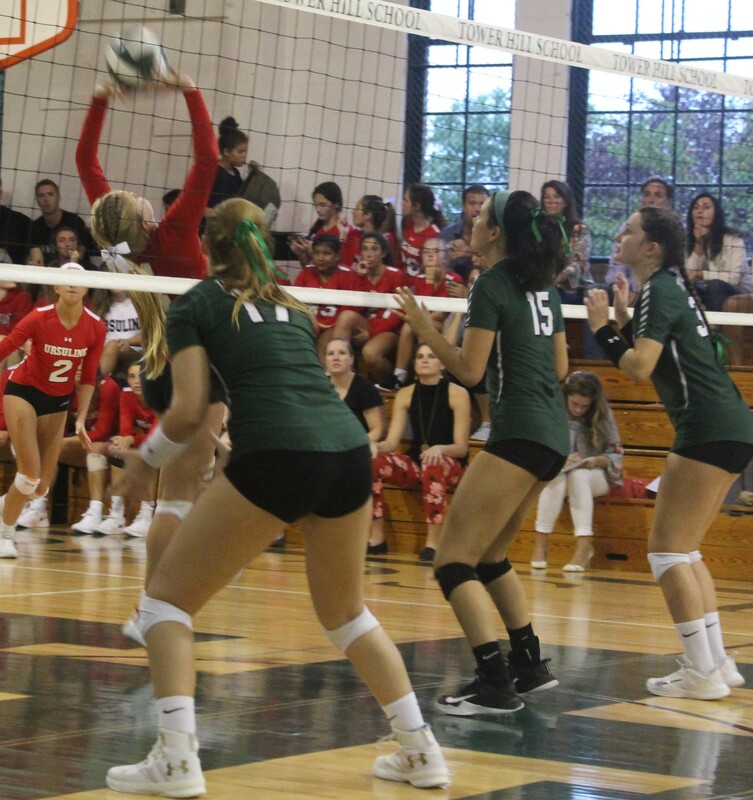 Tower Hill’s Andrea Kowal (15) and Corinne Furey of Ursuline watch to see where Furey’s shot would land. It was in. A few points later, Furey killed another overpass and Nocket went down the left side to extend the lead to 20-14. Caffrey ended that streak, but the outcome seemed secure. The Hillers, however, had other ideas. Trailing 22-15, they ran off six consecutive of their own. The Raiders held on, and the set ended on a service error. 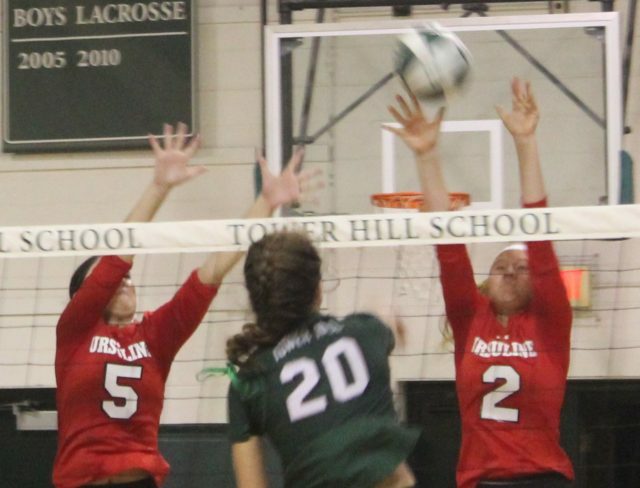 A series of Ursuline unforced errors marked the opening the the third set, and Tower Hill took a 6-2 lead. 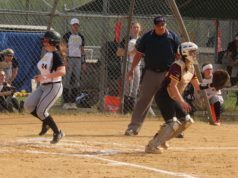 It was 13-9 after Sachs unleashed another rocket, but the Raiders would rebound to knot the score at 14 on a Boysen ace. 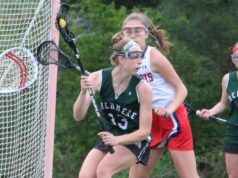 A Sachs screamer, and a block by Marie Freebery restored a two-point advantage, but the teams were tied at each point from 16 through 20. 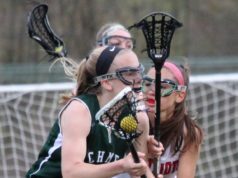 The Raiders wrapped the third in fine fashion, scoring the final five points. 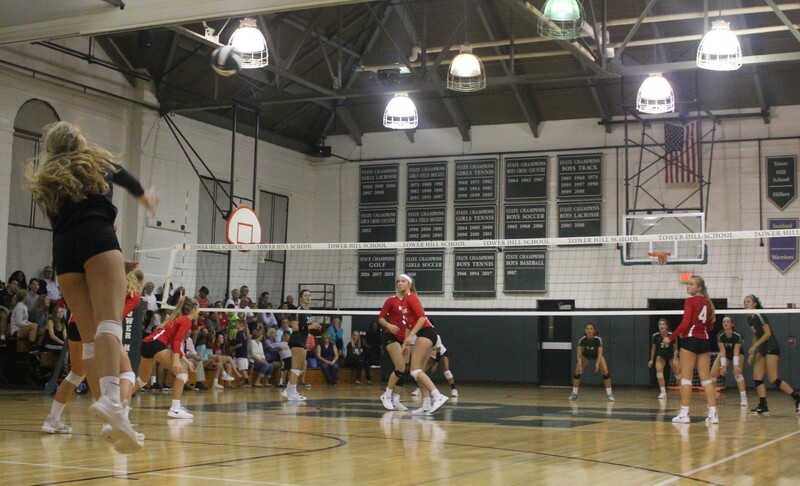 Popham sent it to match point with a blast off the Hillers’ wall, and she teamed with Nocket to block Sachs for the win. Furey led the Raiders with 13 kills, while Nocket had 10. Nocket also added four aces, and Boysen had three. Sydney Davis was busy all night, collecting 22 digs. The Raiders (3-0) play their home opener on Tuesday night against Wilmington Friends at 7:15. For the Hillers (3-2), Sachs had 14 kills and 15 digs. 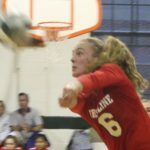 Caffrey added eight kills and three blocks. 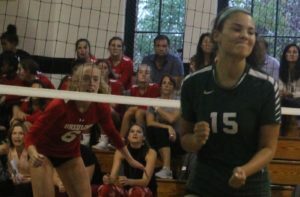 Heyli Velasquez had 35 digs. 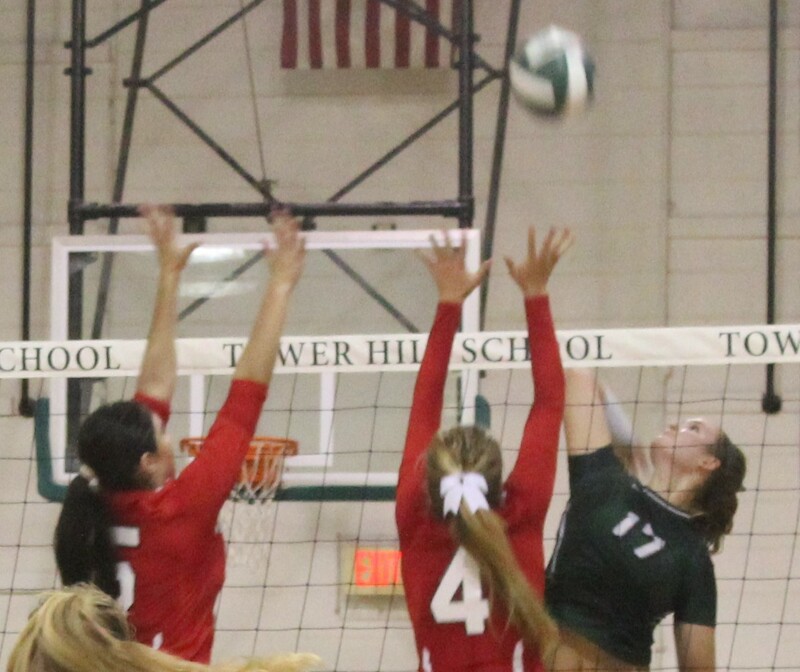 Tower looks to get back into the winning column, also against Friends, on the road next Friday at 7:15 p.m.
Kylie Nocket (5) and Cassidy Markel attempt to block Maddie Sachs.